Comments: The Belgian revolver Nagant was a particularly popular model in the early twentieth century in Russia and later in the Soviet Union. It was used in both World Wars. For this reason, the Gletcher version was included in the “Russian Legends” series of air guns. 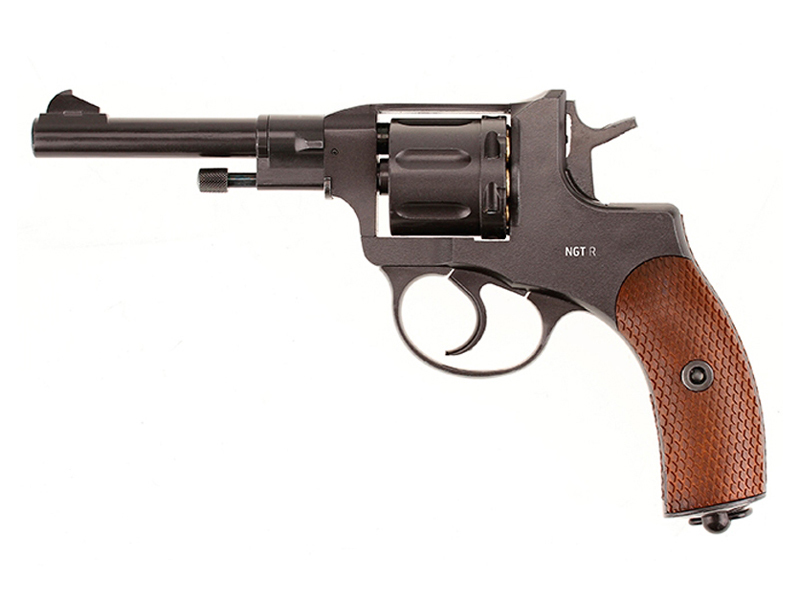 This seven-shot revolver featured a unique cylinder that is reloaded one bullet at a time through a loading gate. -Revolver: single and double action.